Loja is small city (and province) in the southern highlands of Ecuador. I was born in the town of Vilcabamba (45 minutes away from Loja) and went to high school in the city of Loja. 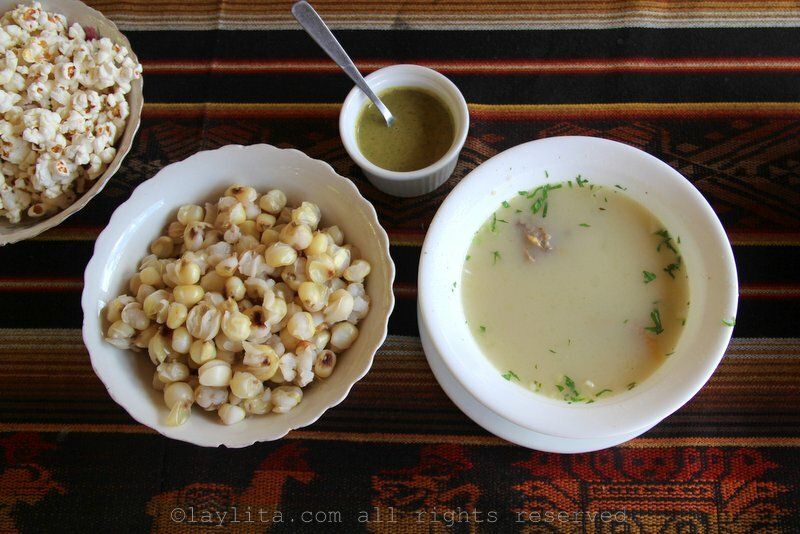 As a result, so many of my memories of Ecuador are associated with the food I ate in Loja. 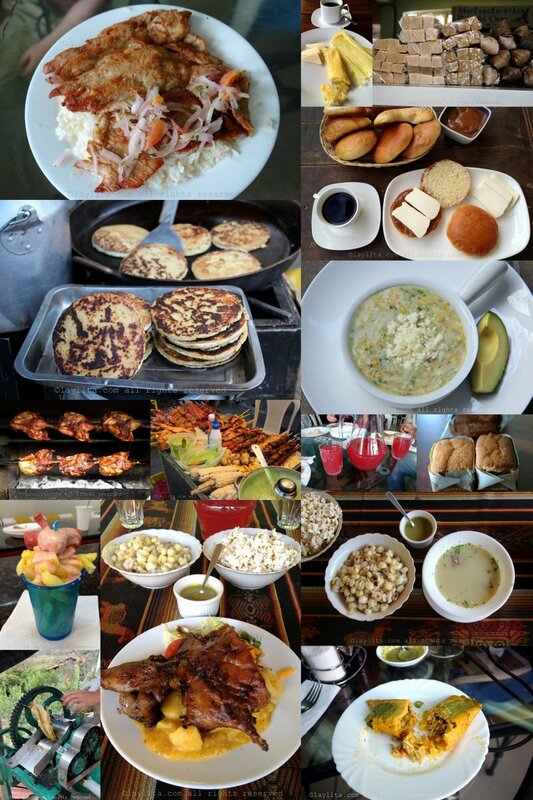 This list is my recommendation of foods to eat in Loja. Some of these dishes are very authentic and traditional “lojano” meals, and some are dishes that can be also be found in other cities of Ecuador, but are included because I personally love the way they are prepared in Loja or they became part of my Loja experience. You will be able to find many of traditional dishes at restaurants in the city of Loja and throughout the province. 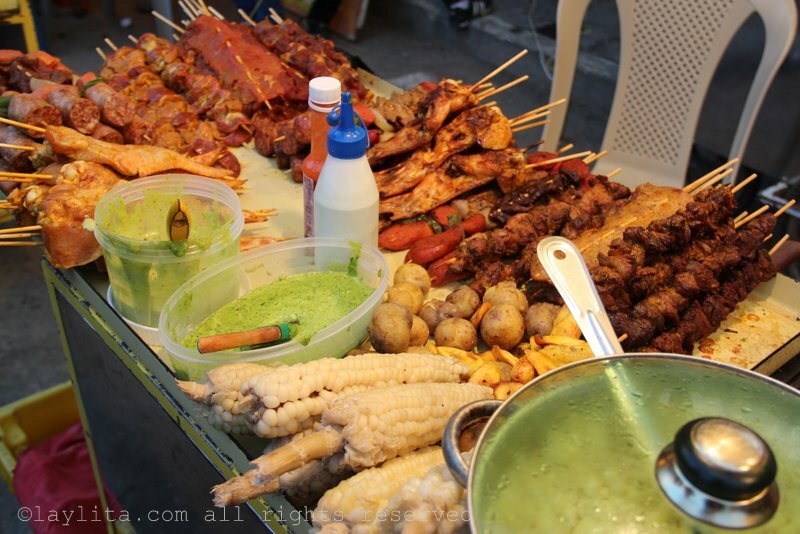 There are some foods that are very specific to the city or are mainly found during times of festivities (the feria/local fair, Independence Day celebrations, and other occasions). There are a few that I’ve only had prepared in the homes of close friends. And yes, I probably missed/forgot about some very traditional things to eat or drink in Loja, so feel free to add your suggestions in the comments. 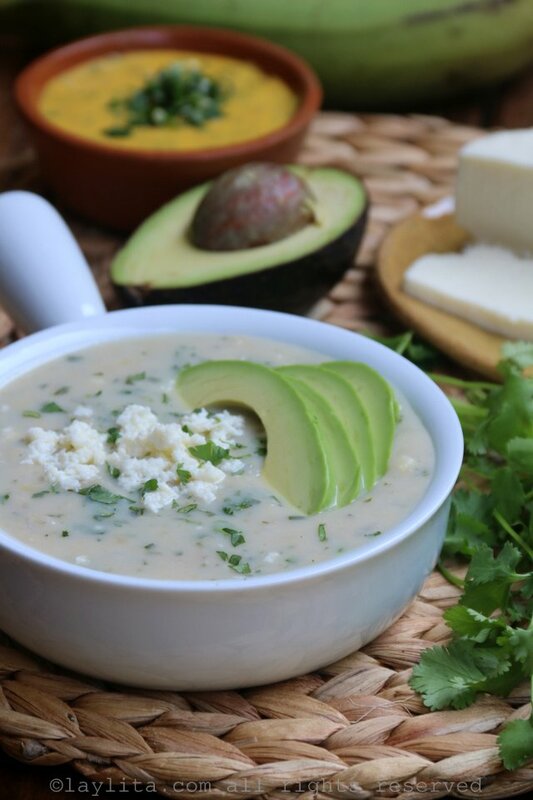 Repe lojano: Repe is a creamy soup made with green bananas (or green plantains in some cases, but green bananas are the preferred choice), milk, cheese and cilantro. 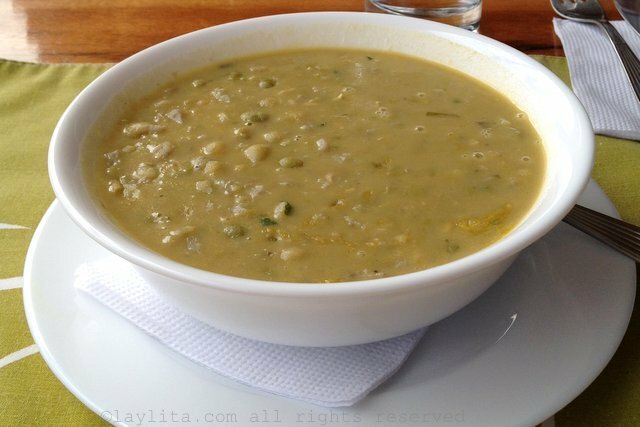 Arverjas con guineo or split pea and green banana soup: Arvejas con guineo is almost the same as repe, but it also has split peas. Both of these soups are usually served with avocado slices. Cecina de chancho: I love this pork dish, it’s one of my favorites and can be found in many restaurants, but one of the best places to eat it is in Catamayo/Latoma. It consists of thinly cut pork steaks that are marinated with cumin and garlic, then dried in the sun and either grilled or fried. Cecina is served with the must have sides of boiled yucca (cassava), tomato and onion curtido, rice, and aji hot sauce. 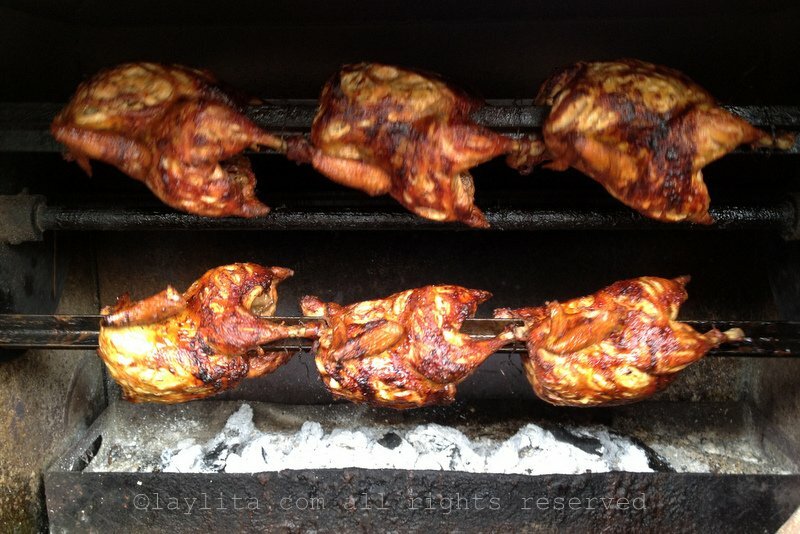 Pollos a la brasa: You will see pollos a la brasa or whole chicken grilled over charcoal in many cities, but you will see that downtown Loja is full of pollo a la brasa places. In fact, one of the smells that reminds of the city is the smell of roasted chicken. I remember taking the bus (taxi ruta these days) and getting off near Mercadillo street, and as soon as you get into that area you are immersed in the smell coming from the restaurants making pollos a la brasa. I remember buying a “quarto de pollo” or a quarter of the roasted chicken, and getting it in plastic bag to go, with the rice/salad all mixed in with chicken (it might not sound good, but it was amazing!). Tamales lojanos con aji de pepa: Loja is famous for its amazing tamales, these tamales are filled with either chicken or pork, and are wrapped in achira leaves. Achira is known as arrowroot in English. The tamales lojanos are served with a must try mild hot sauce called aji de pepa, it’s a thick green sauce made with pepas or squash seeds blended with cilantro, hot peppers, and spices. 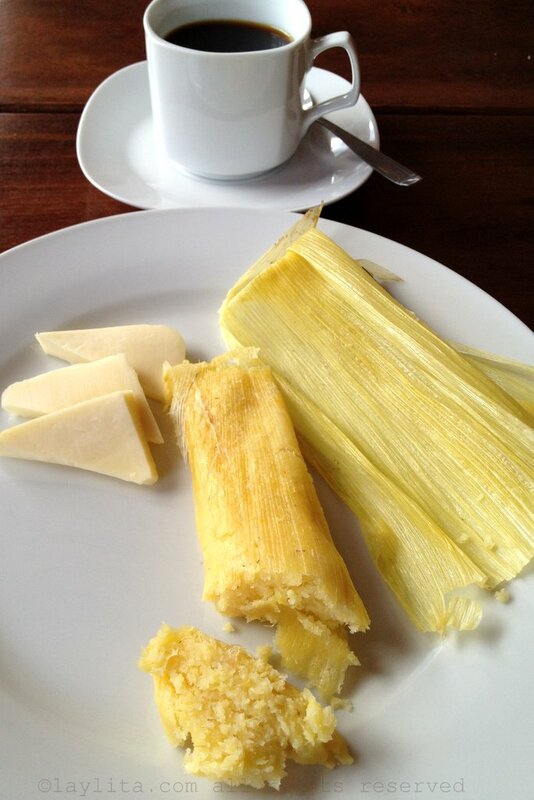 Tamales are usually served for breakfast or with the afternoon coffee. Humitas or fresh corn tamales: Humitas, sometimes called humas for short in Loja, are savory steamed fresh corn cakes made from a mixture of freshly ground corn, cheese, eggs, and cream, which is placed inside corn husks and steamed. Same as tamales, they are served for breakfast or as an afternoon snack, and usually the same restaurants will offer both humitas and tamales. Humitas are best accompanied by aji de tomate de arbol or tree tomato/tamarillo hot sauce. 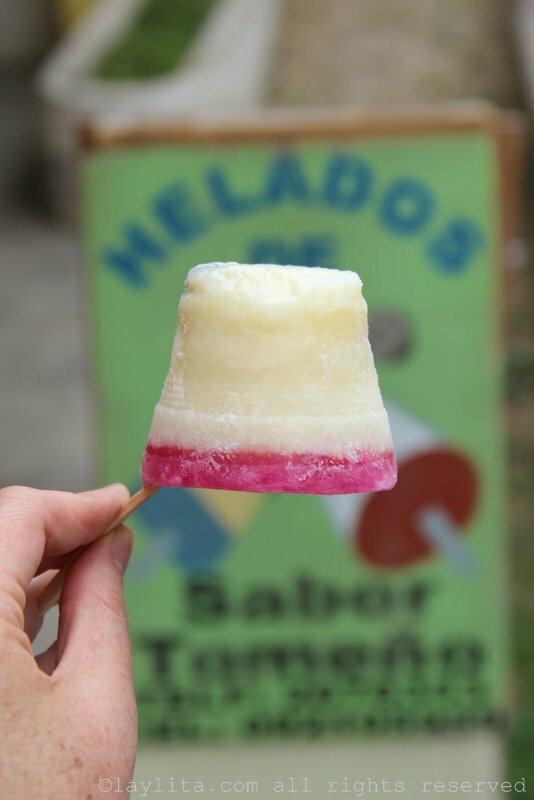 Quimbolitos: Quimbolitos are like the dessert variation of humitas/tamales. 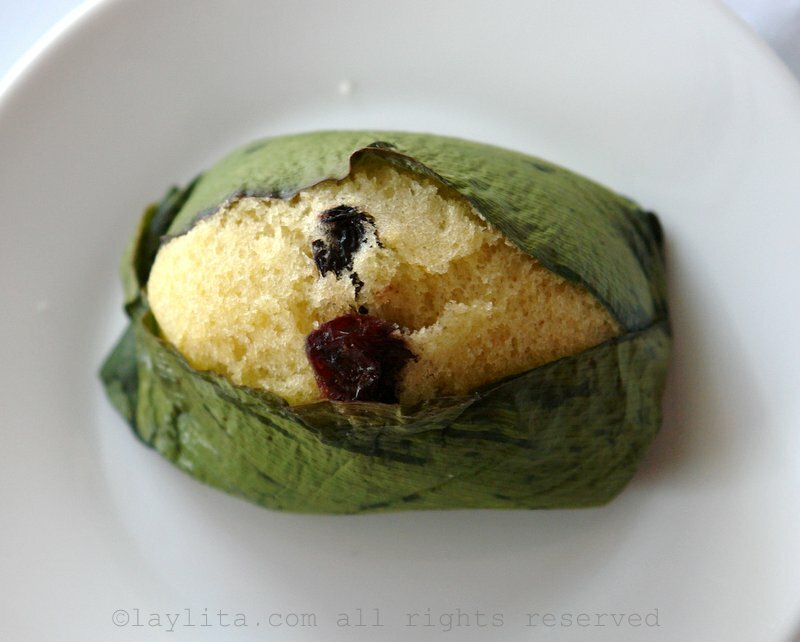 These sweet steamed cakes are made with either corn or wheat flour, or a mix of both, and like tamales are steamed in achira leaves. Perfect for an afternoon snack. 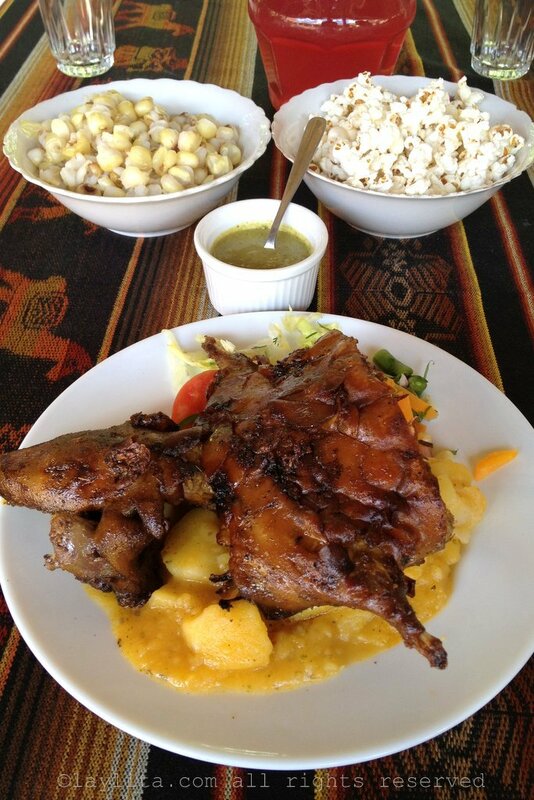 Cuy: Another traditional specialty from Loja is cuy or guinea pig. 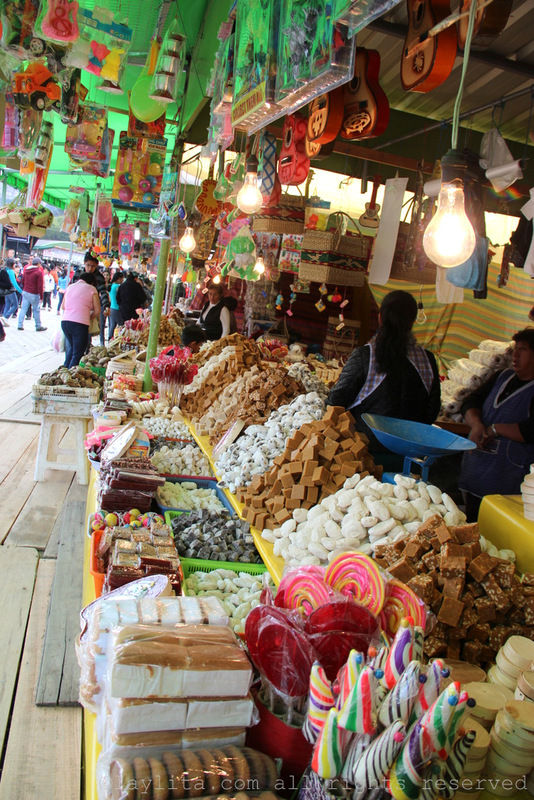 The best area in Loja to try cuy is in El Valle, on the outskirts of the city – close to Jipiro Park and the Recinto Ferial – where the local fair takes place. There are several restaurants in this area specialize in roasted guinea pig. If you want to try it, but are squeamish about the head/feet, then just ask for them to serve it without those parts. Also, be aware that on holidays and special occasions (school graduations), these places are packed and you will have a long wait. Gallina cuyada: If you just can bring yourself to try the guinea pig, then gallina cuyada is the next best option. It’s basically roasted chicken, but has been marinated with the same seasonings/spices as the cuy, so you have a little bit of the flavor without actually eating any cuy. 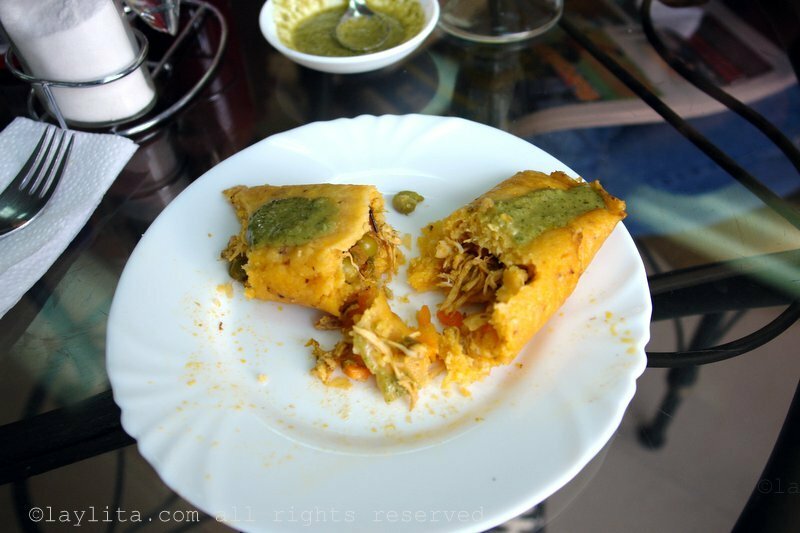 Most places in El Valle that serve cuy also have gallina cuyada on their menu. Consome o caldo de gallina: It’s very traditional to have a consomé/caldo de gallina or chicken broth soup at the same places that serve cuy. Though you can find this flavorful chicken broth at many other restaurants that serve traditional food. It usually includes a piece of chicken, it could be a drumstick or it would be a chicken foot. 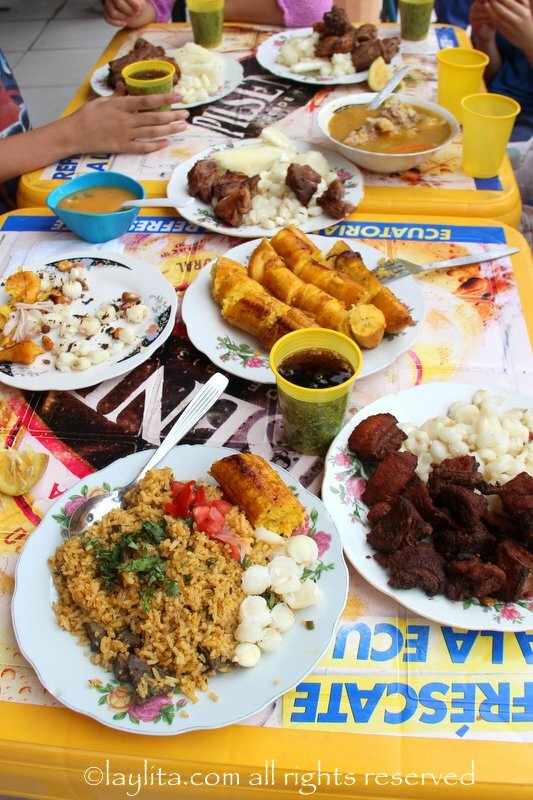 Fritada, chicharrones, chanfaina and sancocho in Landangui: On the way from Loja to Vilcabamba, there is a small town called Landangui. This place is a pork lover’s dream come true. 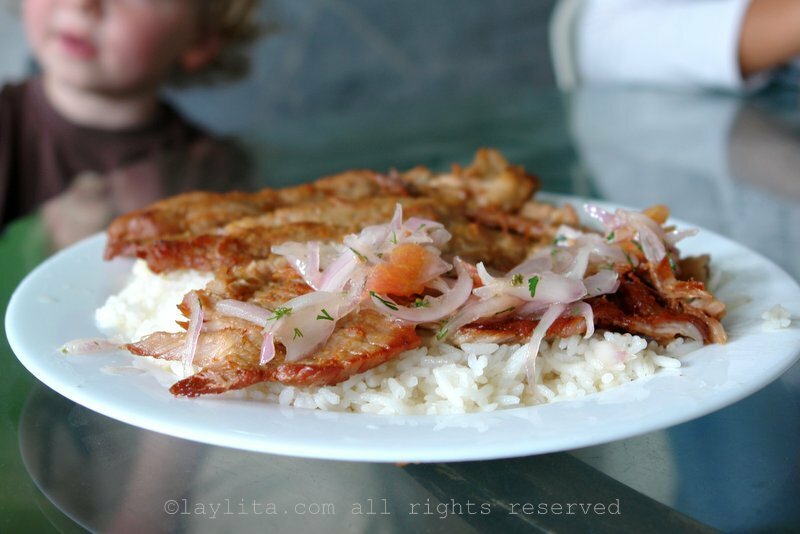 Their most popular dishes are fritada de chancho, a braised pork dish, and chicharrones, or deep fried crispy pork belly. 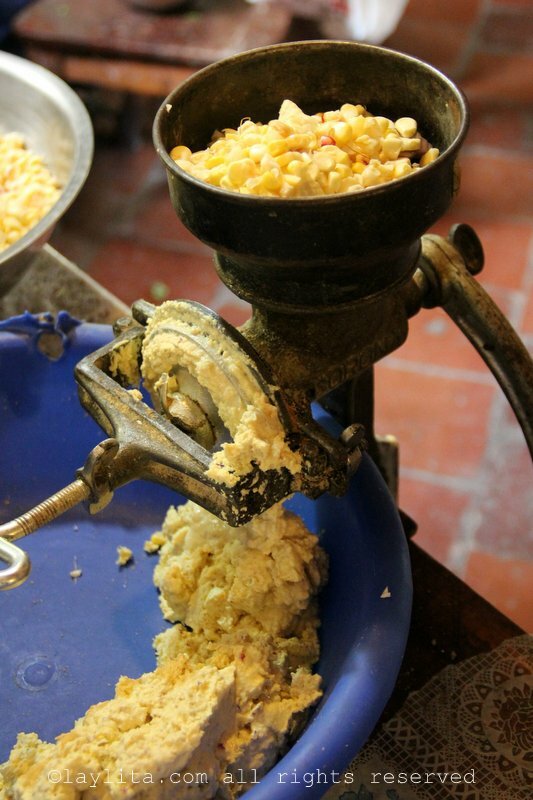 Both fritada and chicharrones are served with mote or hominy corn, boiled yuca, and fried ripe plantains. 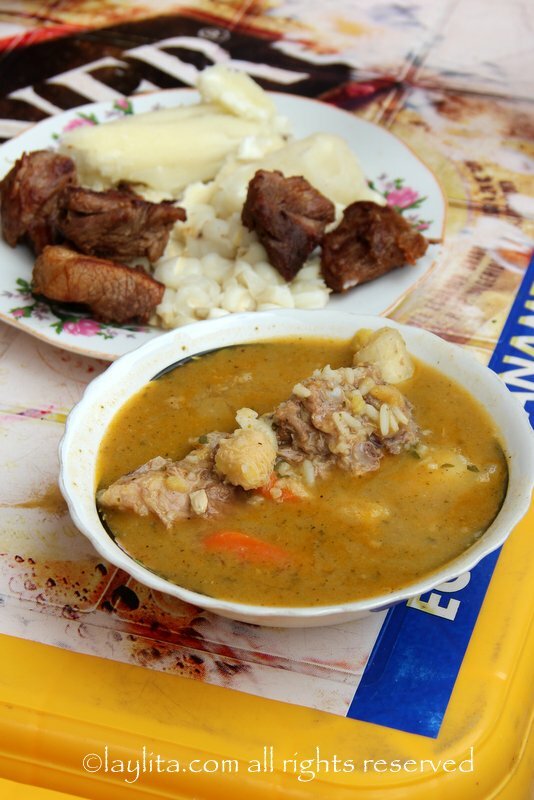 They also serve sancocho lojano, a hearty soup of pork with vegetables, and chanfaina, a rice dish made with pork liver, pork intestines, pork tongue, spices, herbs and potatoes. 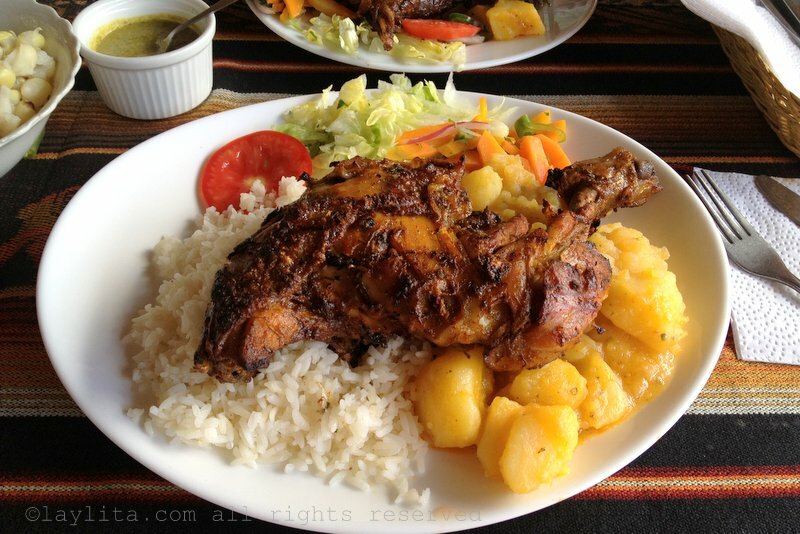 Read more about fritada in Ecuador. 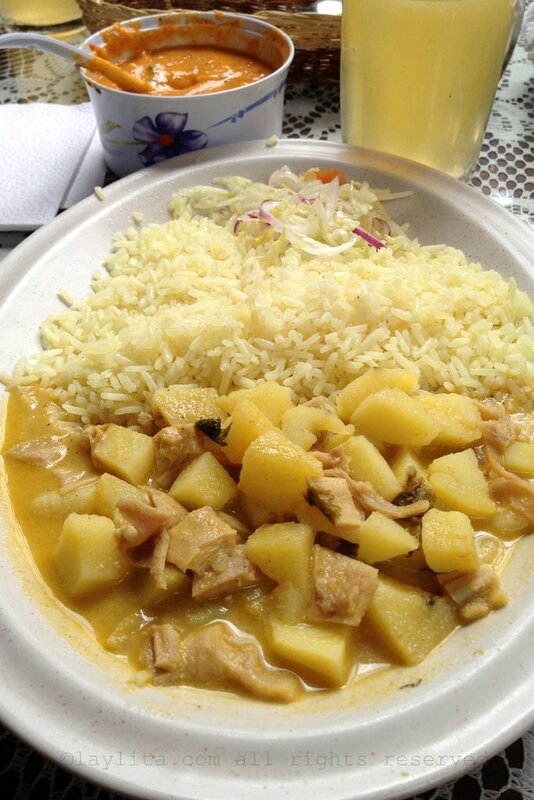 Guatitas del Manaba: Guatita is a stew made with tripe cooked in a sauce of potatoes and peanuts. This dish is popular (both loved and hated) in many cities of Ecuador, but is Manabi (a coastal province) is known for making some of the best guatitas. 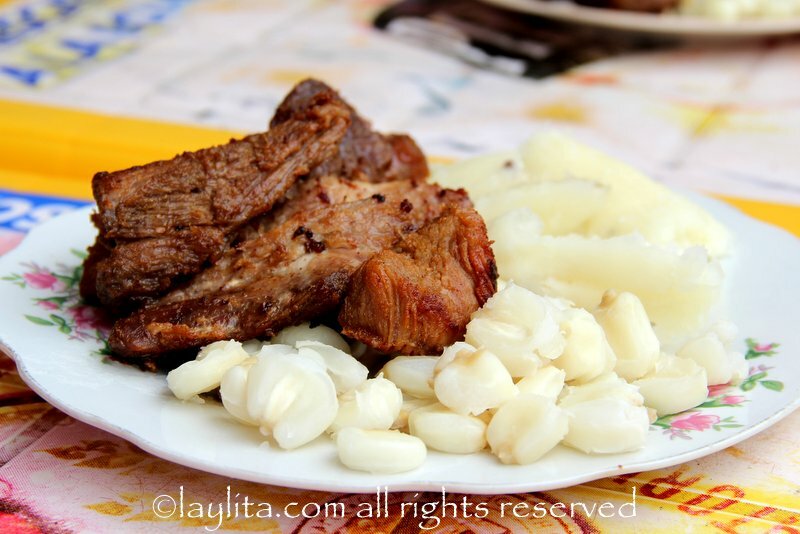 In Loja, there is an iconic place known as Guatitas or Guatas del Manaba, that serves delicious Manabi style guatita. This is a hole in the wall, what we would called a hueca in Ecuador, type of place, and has been around ever since I remember. It is especially popular on weekend mornings, due to the notion that guatita is a great hangover cure. 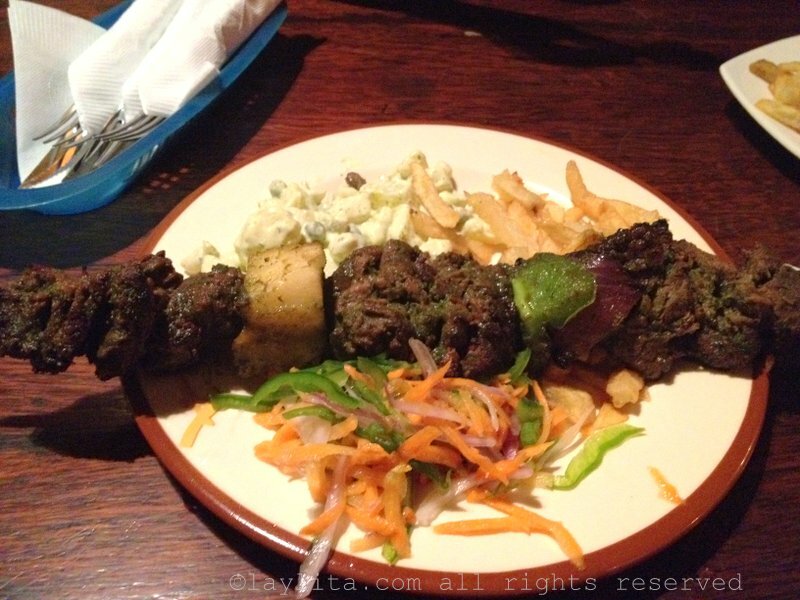 Pinchos de La Siembra: Pinchos are beef kebabs and La Siembra is another iconic must visit place in Loja. In addition to serving delicious beef skewers, which are marinated in some sort of amazing secret sauce, they also have a selection of grilled foods, big mugs of cold beer, and usually have live music on the weekends. La Siembra pinchos are usually #2 on my places to go eat when I arrive in Loja. Salchipapas del Soda: This is the first place I go when I go back to visit Loja (and I know a bunch of lojanos who live outside of Loja and do the exact same thing). Salchipapas are French fries with hot dog sausages, the ones at El Soda bar, which now has a couple locations in downtown Loja, are served with this addictive salsa rosada or tomato mayonnaise like sauce, and also sometimes with a bit of curtido. Their sauce is the reason they are so popular, and most people order the salchipapas with doble salsa or double the sauce. I’ve mentioned before that in high school my friends would pawn their jewelry at the Soda Bar in exchange for their fries. Ironically people who are not from Loja and didn’t grow up with Soda Bar experience aren’t always big fans and don’t understand our obsession with this mouthwatering junk food deliciousness – and that unfortunately includes my kids, who prefer my homemade copycat version of salchipapas or the ones they sell on the weekends in Vilcabamba. 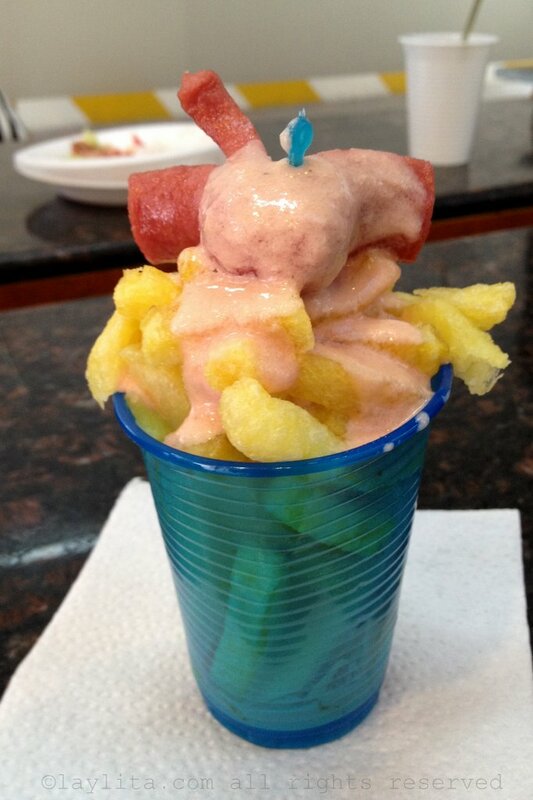 But if you are in Loja you have to at least try the salchipapas, and get a jugo de tamarindo to go with them. Chifles (con salsa): Chifles are thin chips made from green plantains. You can find them at small tiendas or for sale by street vendors in the plazas and fairs. In Loja, we also like to eat them with salsa rosada (yes, the pink mayonnaise sauce again that we seem to be obsessed with); and by eat, I mean completely drenched in the sauce. I’m not sure if this place is still around, but there used to be a place around the corner from the Marianitas high school (my former school) that sold really good chifles con salsa. 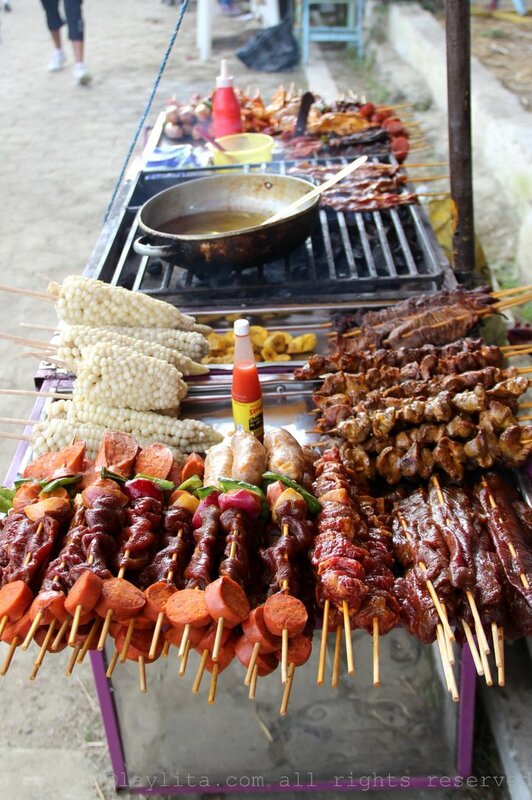 Carne en palito and choclos asados: Carne en palito are thin beef skewers that are very popular and traditional in Loja, you will see small carts selling these on the streets during the local fiestas and at the local fair in September. 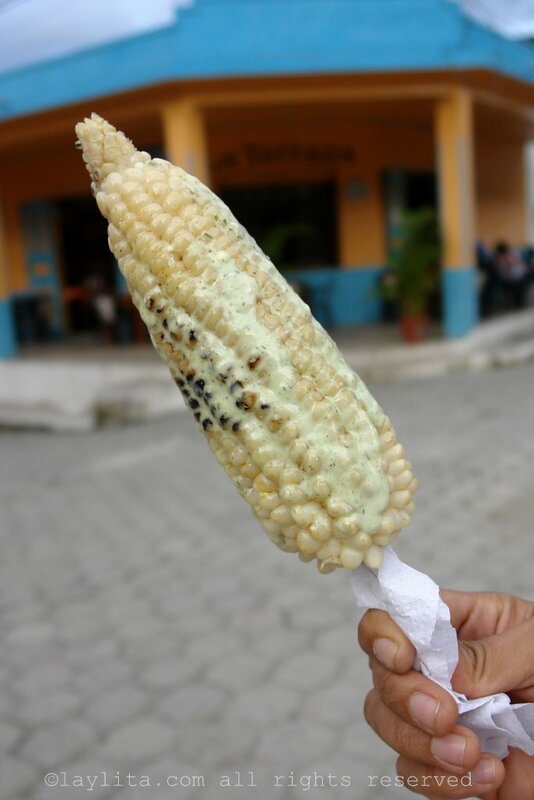 Choclos asados are grilled street corn and usually the same vendor will have both available. 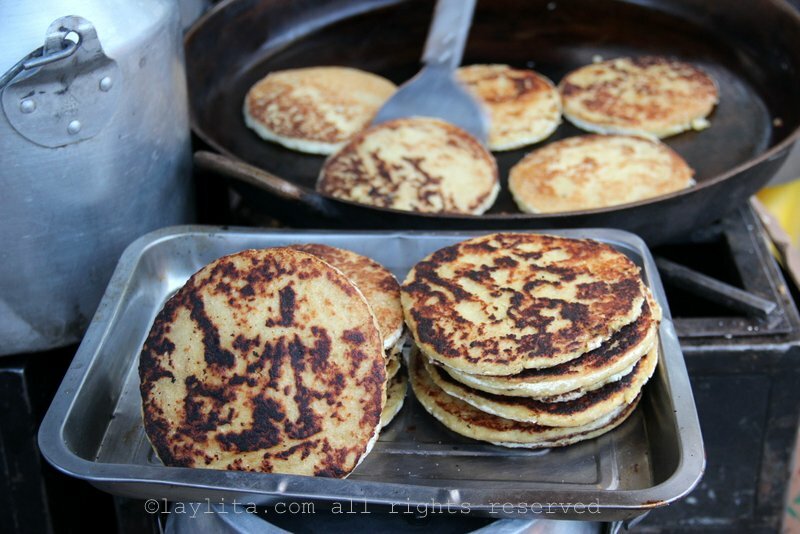 Tortillas de gualo: These delicious sweet and savory thin corn cakes are made from corn that is almost dry or “gualo”, so they have a special sweet flavor, and are filled with savory local cheese. 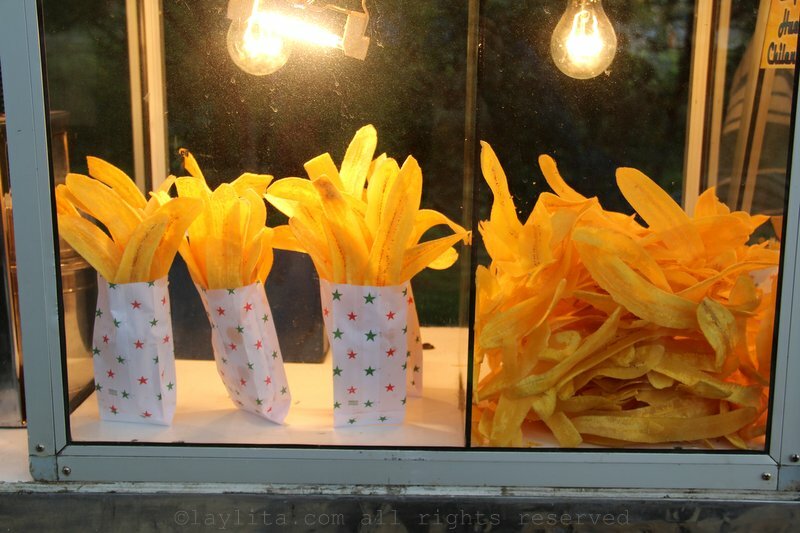 They are amazing and a little bit harder to find, but you can find them at the fair and also sometimes at the local market. 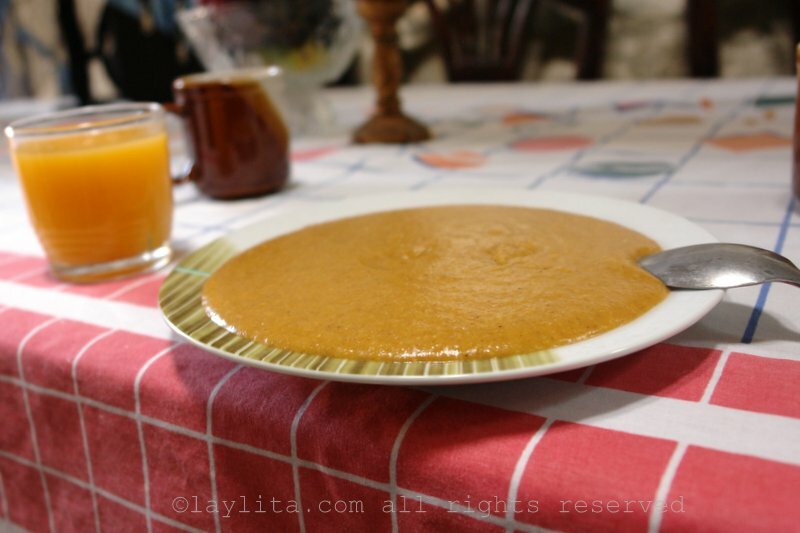 Matahambre (sango de maíz tostado): My childhood best friend’s mom used to make sango de maíz tostado, a creamy corn polenta like dish made with toasted corn flour. It is also known as matahambre, which translates literally as hunger killer. I used to absolutely hate it as a kid, and now I love it and crave it as comfort food. I’ve never seen it at a restaurant and have only had it at home. 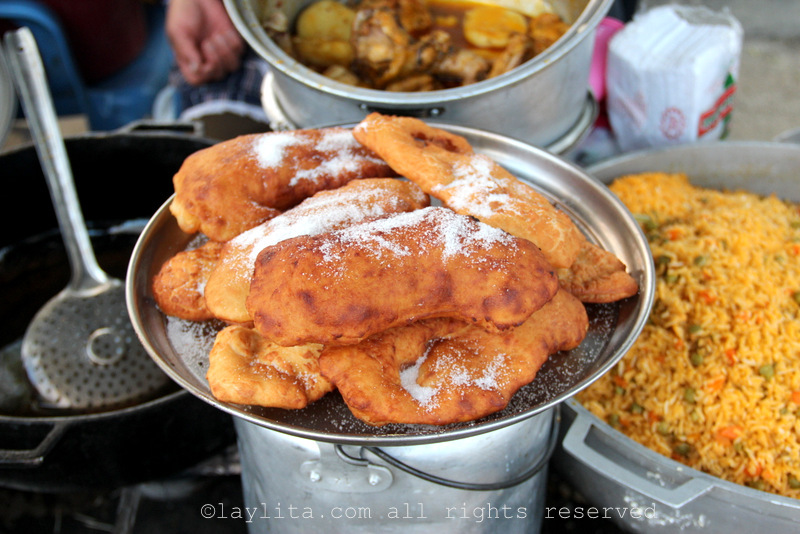 Empanadas de viento: These delicious fried empanadas filled with cheese are popular everywhere in Ecuador, but of course my all-time favorites are ones made by friends (specifically made by their moms), I was always in awe of how quickly they made them, and could never get enough of these cheesy fried bundles of yumminess. I also love the ones they make at the feria in Loja and the ones that they sell in Vilcabamba (on the weekends). 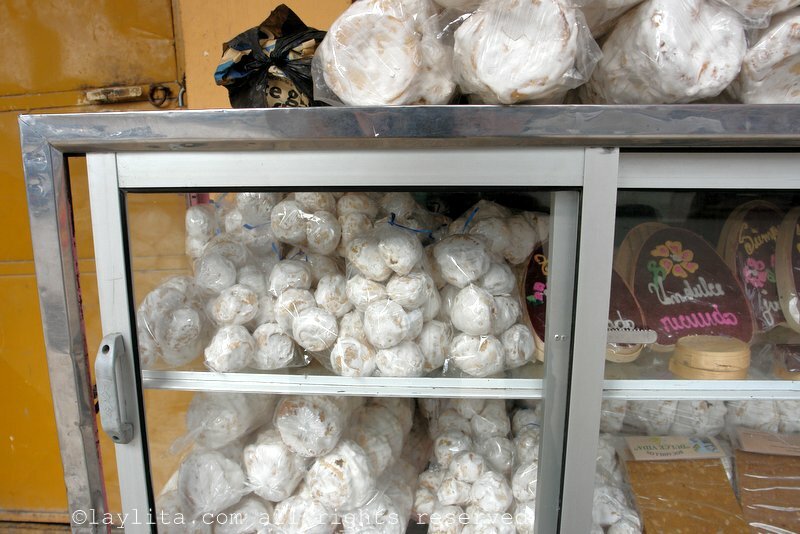 Pan lojano or bread from Loja: The smell of freshly baked bread is another smell that reminds of Loja, it’s impossible to not feel the smell of baked bread in the mornings in Loja. In Ecuador, there is a saying when something is really good and it’s “esta mas bueno que el pan de Ambato”, which means it’s better than the bread from Ambato. Now, I’ve had bread from Ambato and it is very good, but I personally think that the pan lojano can hold its own to the pan de Ambato. I especially love the bollos lojanos, which are semi sweet bread rolls made with whole wheat flour/wheat germ and panela (piloncillo/ brown cane sugar), and the empanada breads filled with cheese. 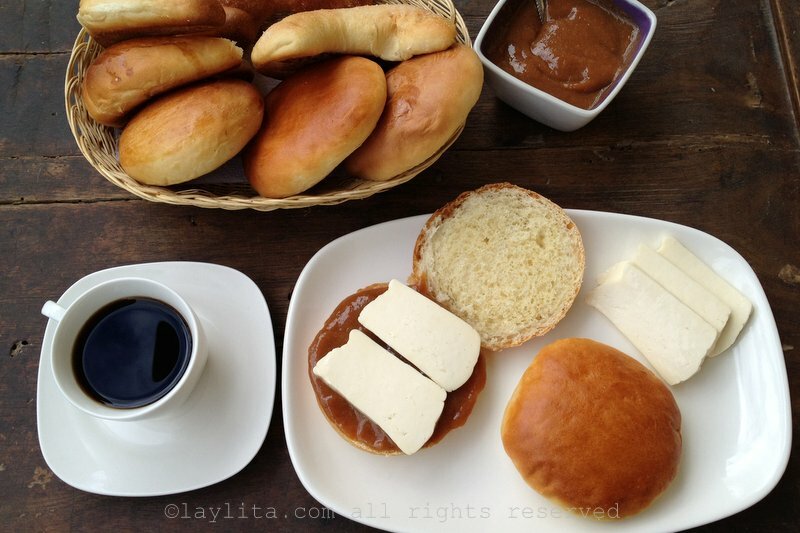 My favorite way to eat pan lojano is with dulce de guayaba or guava jam and fresh local cheese. 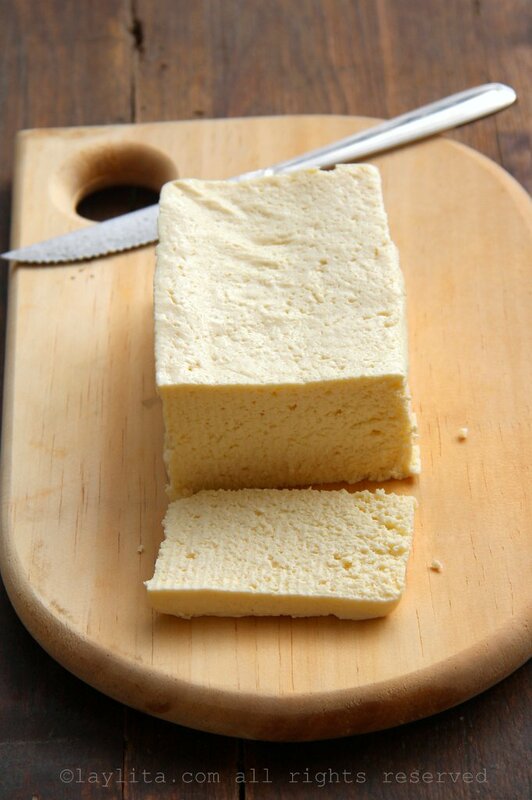 Quesillo and queso de corte: The fresh cheeses from Loja are one of the things that I miss the most from my hometown. I especially love the quesillo, a fresh farmers like cheese, and the queso de corte – which is ground quesillo that is then pressed into blocks until compact. 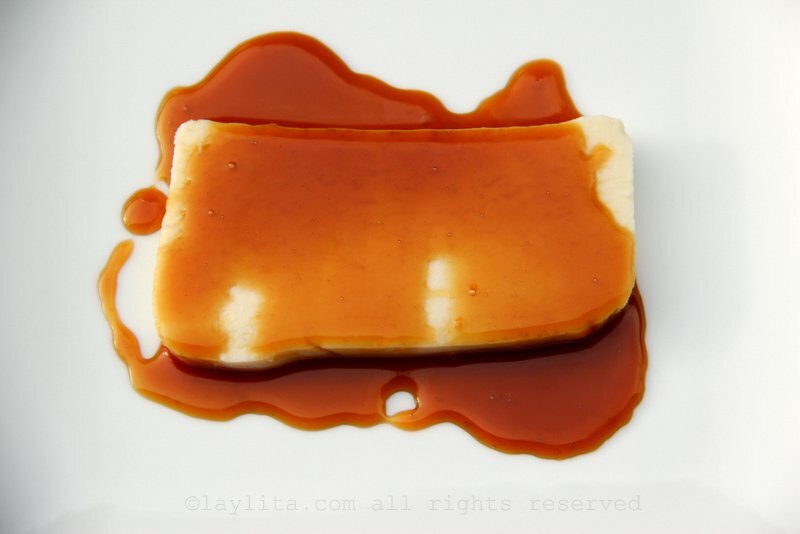 Quesillo con miel: One of most simple and delicious desserts in Loja, this dessert consists of a slice of local fresh cheese called quesillo, drizzle with sweet miel de panela or piloncillo syrup. 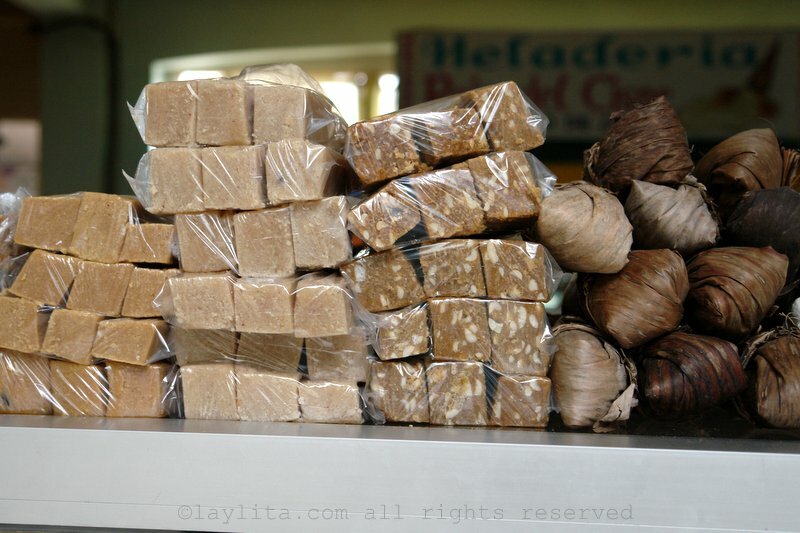 You can read more about how panela is made in Loja in this post. Roscones lojanos: These baked pastries look like donuts at first site because they are round and dusted with confectioners’ sugar, but they are crunch and hollow inside. 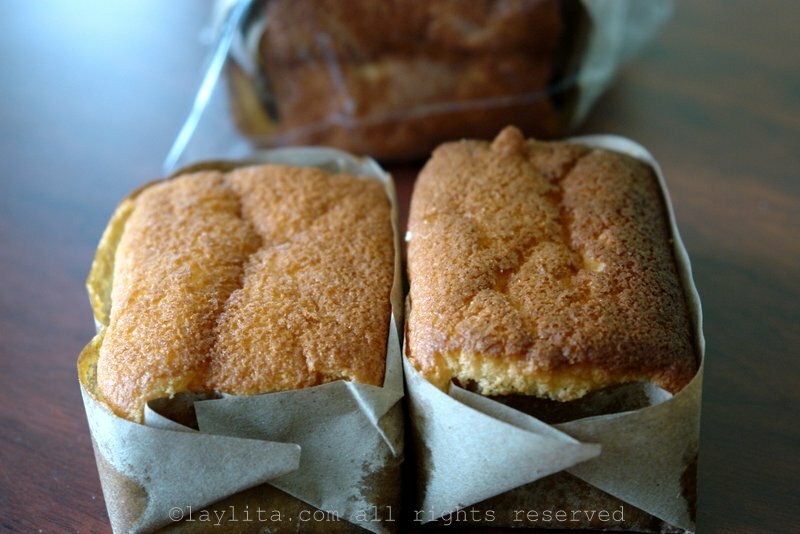 Bizcochuelos lojanos: These small angel food like cakes are made with chuno de achira or arrowroot starch and are on the dryer side, which makes them perfect for dipping with coffee. 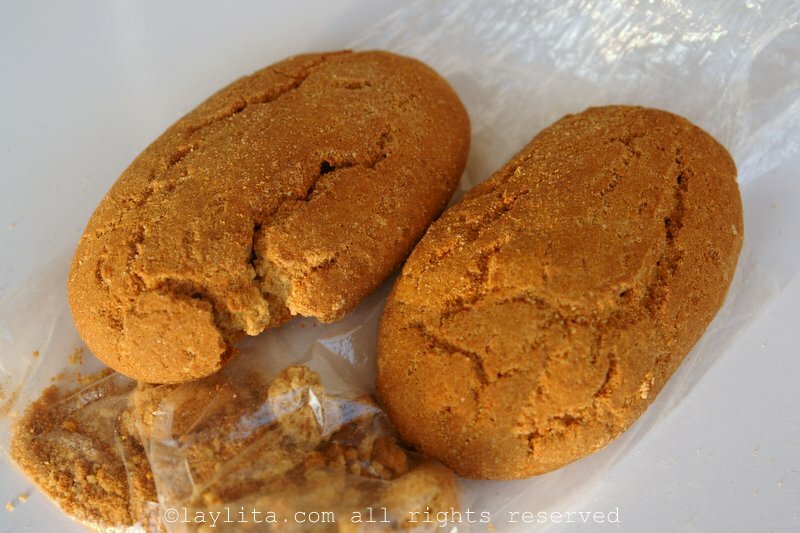 Bocadillos lojanos: Bocadillo means a small bite or snack in Spanish, but in Loja it also refers to these small square sweets made with panela (piloncillo) and peanuts. You can find these sweets at the local market and at the fair. Dulces/frutas pasadas: My favorites include dulce de tomate de árbol or tree tomato/tamarillo poached; dulce de babaco made with a delicious fruit called babaco (some compare it to a papaya but its texture and flavor are different), and the classic dulce de higos or figs caramelized in a sweet panela syrup. Masapanes, quesadillas lojanas, manjar, dulce de guayaba, alfeñiques/melcochas, helados, and other sweets: There are too many other cookies, pastries, sweets, desserts, and candies to mention (they need their own post), but if you have a sweet tooth I recommend going to the market or Mercado and checking out the Dulceria or sweet section. Bakeries are also good places to find these sweets. Horchata lojana: Horchata (in Loja) is an herbal/flower tea drink made from a variety of herbs and flowers including escancel or bloodleaf, lemon verbena, lemon grass, mint, chamomile, lemon balm, rose geranium, among others. 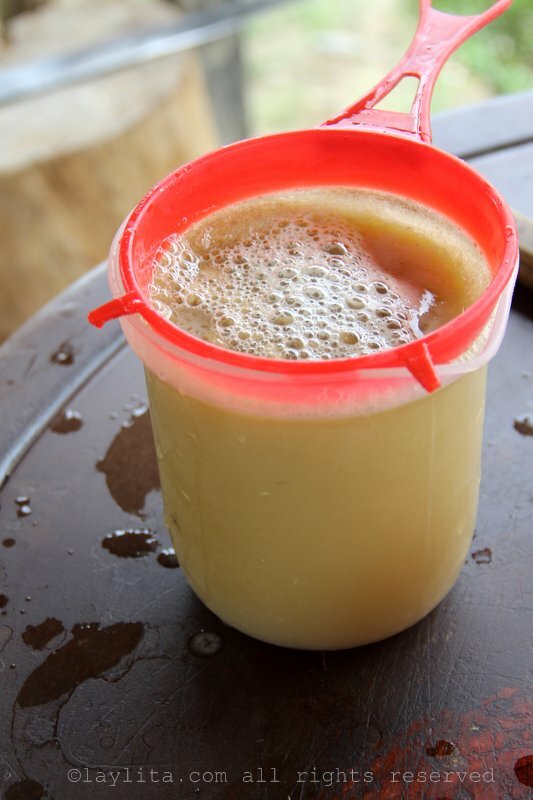 Horchata lojana can be drunk warm or cold, and is typically served already sweetened and with lemon. 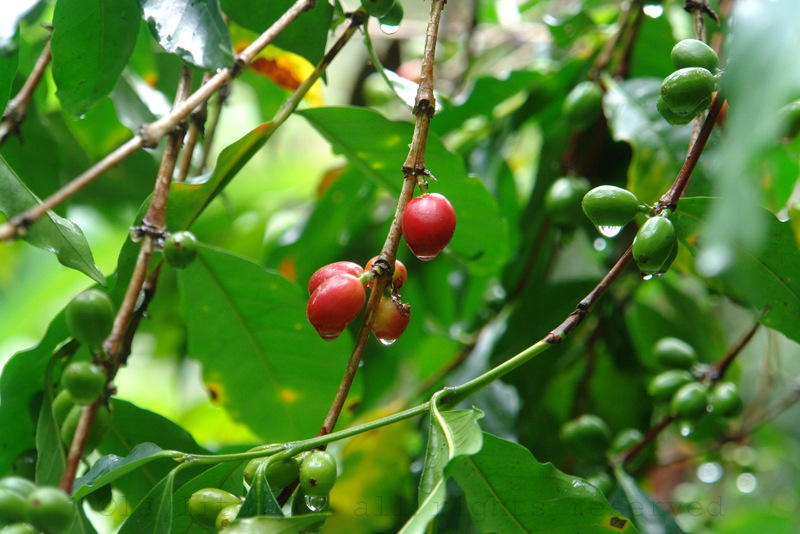 Café lojano: I love my cafecito lojano and am lucky that my mom usually sends me a good suply of local coffee. Make sure to ask for café pasado o café de filtro, which means it’s a pour over style coffee that is made using a linen filter, popularly known as a “chucho” (yes, that also means a woman’s breast). Some places will serve the coffee already sweetened (and in some cases heavily over sweetened), so if you don’t like it with sugar, it’s best to ask when ordering. 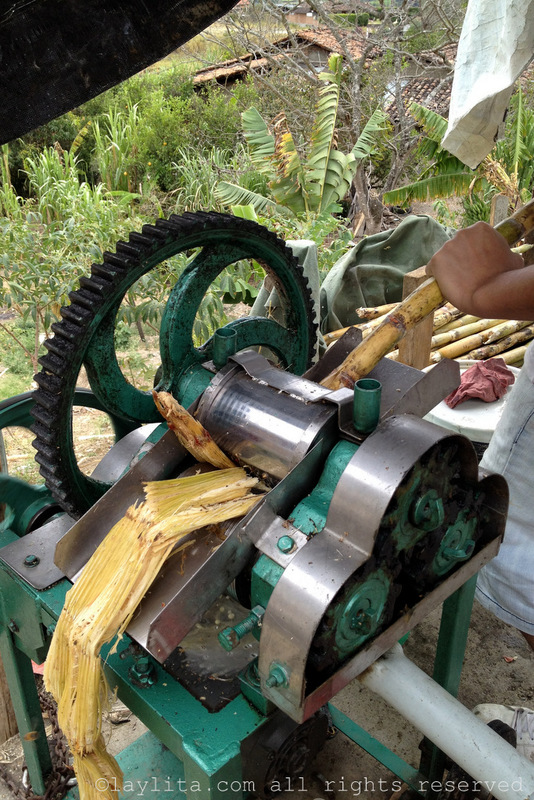 Chicha (de maíz, de arroz, de avena, de coco): Traditional chicha is made from corn (maíz), this type of chicha is more likely to be found in some of the smaller communities outside of the city (like Saraguro). However, variations that are usually not fermented can be found at many restaurants and are usually included when you buy an “almuerzo” or full lunch meal. Yogur persa at Topoli: In addition to tasty snacks, desserts and a variety of foods, this restaurant also has a great selection of fruity yogurt drinks, which you can enjoy there or take to go. I love the yogur de mora and the yogur de naranjilla. 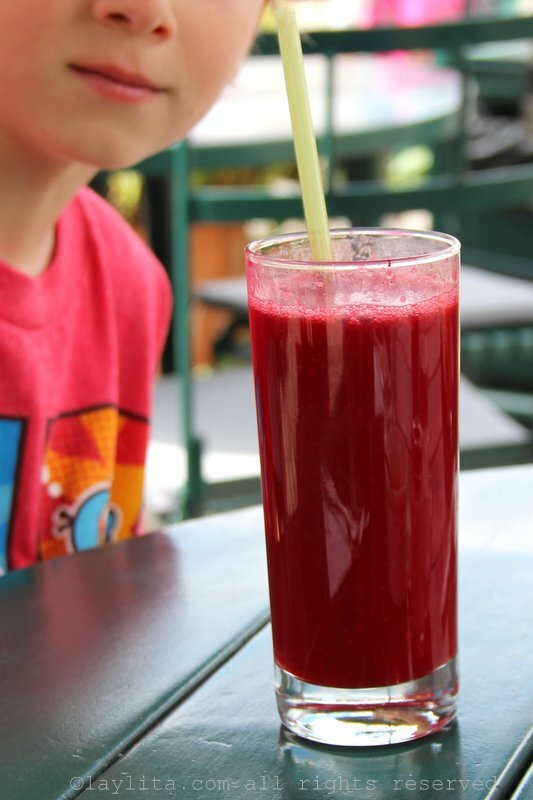 Fruit juices and frescos: Just like most places in Ecuador you will find a great selection of fresh fruit juices. 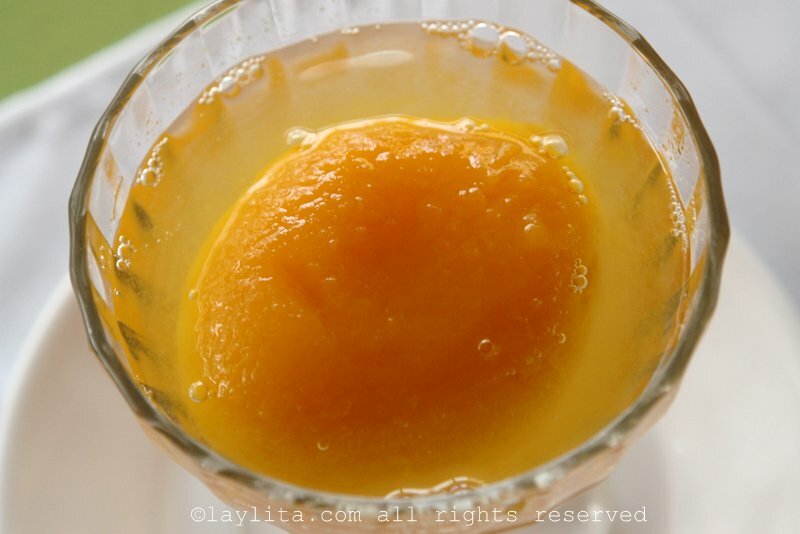 My favorites are maracuyá (passion fruit), naranjilla, mora, and tomate de arbol (tamarillo). 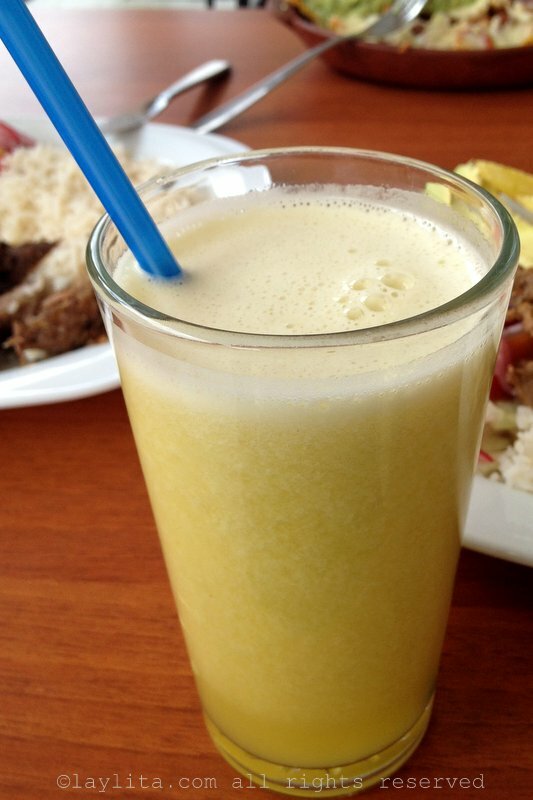 Guarapo: Guarapo o jugo de caña is sugar cane juice, it is made by pressing frehsly cut sugar canes and extracting the juice, it is usually served with a dash of lemon or sour orange (naranja agria) juice to help offset the sweetness. 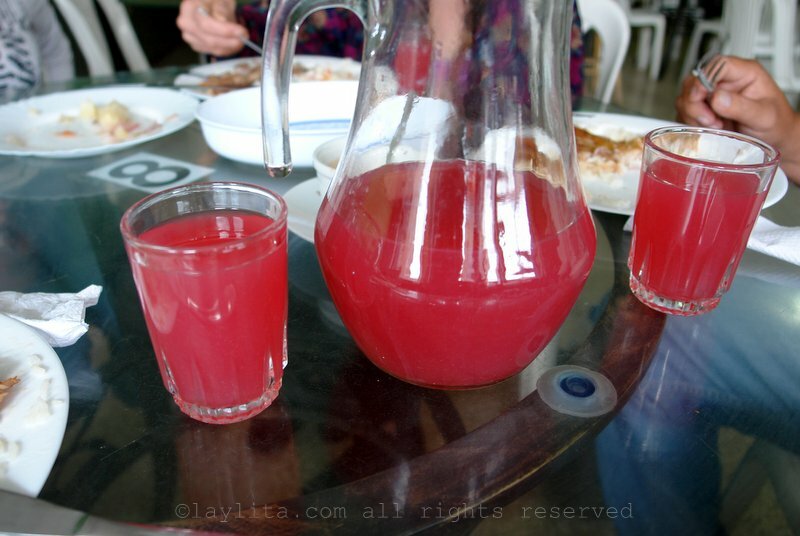 This drink is usually found on roadside stands in smaller towns outside of the city, where people go for the weekends to escape the city. 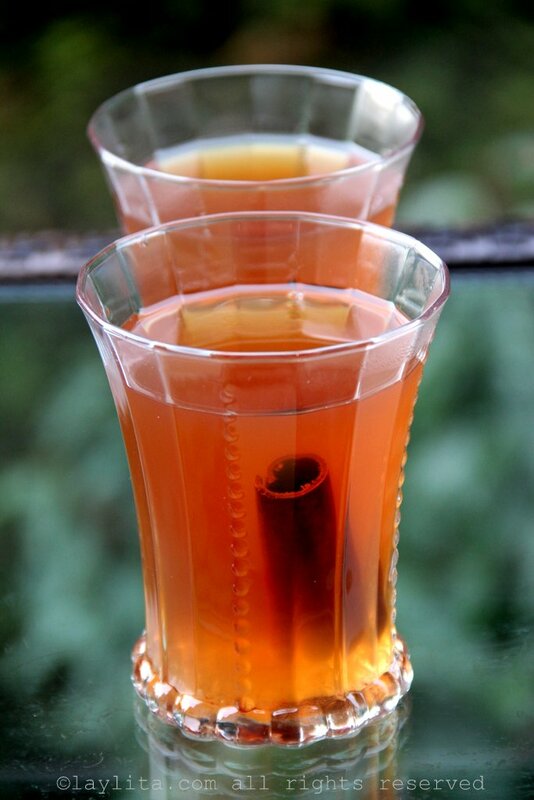 Canelazo: Canelazo, or some variation of this hot cinnamon cocktail, can be found in most cities in the Highlands, and Loja is no exception. Canelazo is perfect for warming up on cold nights, jus beware that the aguardiente in the drink can get you quite drunk (and you will barely feel it until it’s too late). You can also ask for canelazo to be prepared without the alcohol. Aguardiente/punta/Cantaclaro: Loja, and especially Catamayo (where the airport is located), is known for being a major sugar cane producer in Ecuador. So, it’s only natural that there is a lot of aguardiente or sugar cane alcohol production (and consumption). The most well-known local brand is called CantaClaro, which translates as Sing Clear – and probably does the opposite. CantaClaro is also very very cheap (and is typically what people end up buying when they’ve run out of drinking money for the night) and will give you the worst worst worst (I can’t emphasize this enough) hangover ever. On the bright side, if it does happen, go have some guatita del Manaba and it should fix you up. 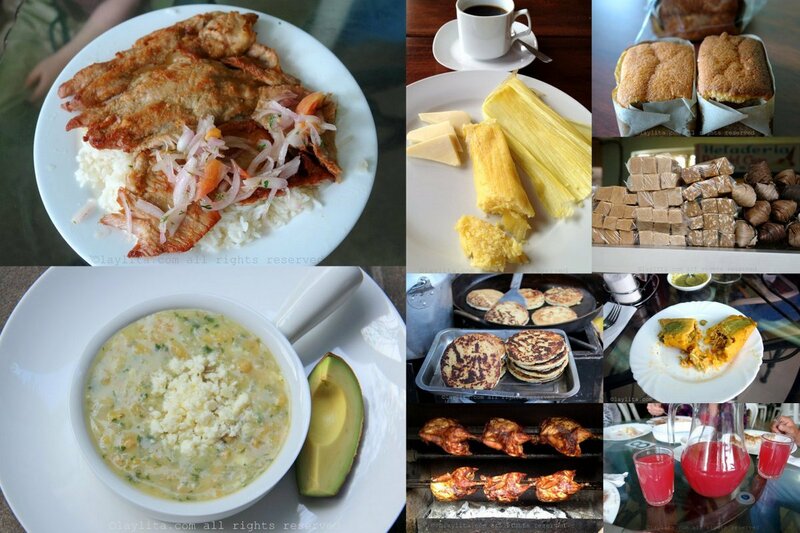 A guide of what to eat and food to try in Loja, Ecuador: repe, cecina, tamales,horchata, cuy, as well as local favorites like pinchos de la Siembra and Salchipapas del Soda. Laylita, todo se ve delicioso, suerte con el libro que estas escribiendo !!!! What a great guide! It makes me want to visit and try everything! Your love of the food really shines through in this article. Awesome! I love Loja! We are musicians moving to Vilcabamba and the Lojanos have drawn us right in!